TAKAFUL (6139) succeed breakout ascending triangle resistance? 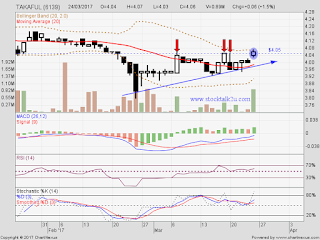 Immediate support @ RM4.05 level. Subsequent support @ RM3.93 level. Subsequent resistance @ RM4.22 level.